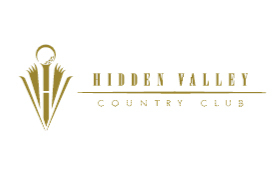 We would like to thank Hidden Valley Country Club for their support of The Huntsman Cancer Foundation! Hidden Valley Country Club is a private, member-owned country club tucked away on the hillside of the breathtaking Wasatch Mountains. In the early 1920s when the club was known as the Fort Douglas Country Club, the clubhouse was located on private land near the University of Utah in the Fort Douglas area, and a golf course was constructed on public land nearby. Since the course was built on public land, it was later given to the University of Utah, and the course was no longer operated by Fort Douglas Country Club. In 1957, the club purchased nearly 300 acres of land along with good water rights at the present Hidden Valley location for its future golf course, and the club became known as Fort Douglas/Hidden Valley Country Club. The original 18-hole golf course opened in May 1959, and comprised what is today known as the Lakes nine and Valley nine courses. The clubhouse was completed in fall of that same year. In 1979, the membership voted to expand the course by adding an additional nine holes. Golf course architect William Neff was hired for the design work and, in the spring of 1980, the additional nine holes opened for play and are today known as the Mountain nine course. Over the years, all 27 holes have been upgraded, modifications made and a new irrigation system added to make Hidden Valley’s 27-hole golf course, one of the most prestigious in the area.